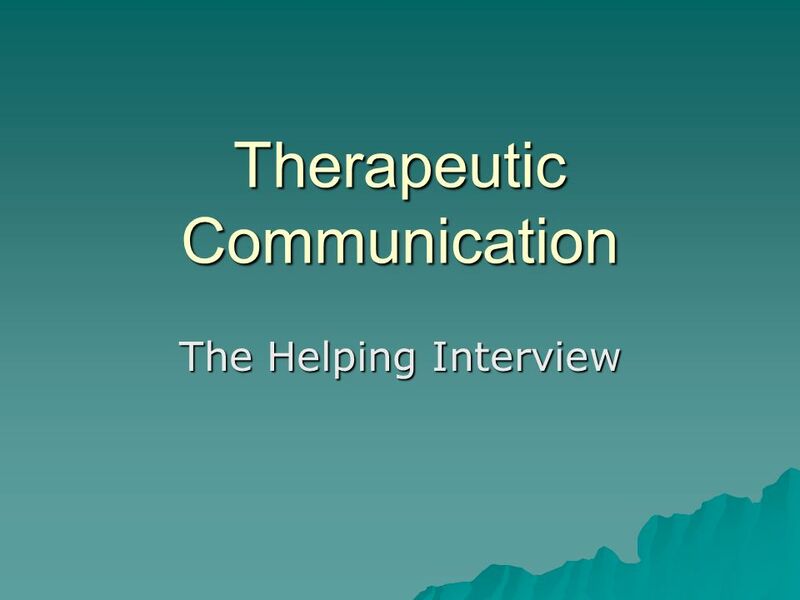 Therapeutic Communication The Helping Interview. Helping Relationship Characteristics Caring Caring Hopeful Hopeful Sensitive Sensitive Genuine Genuine. 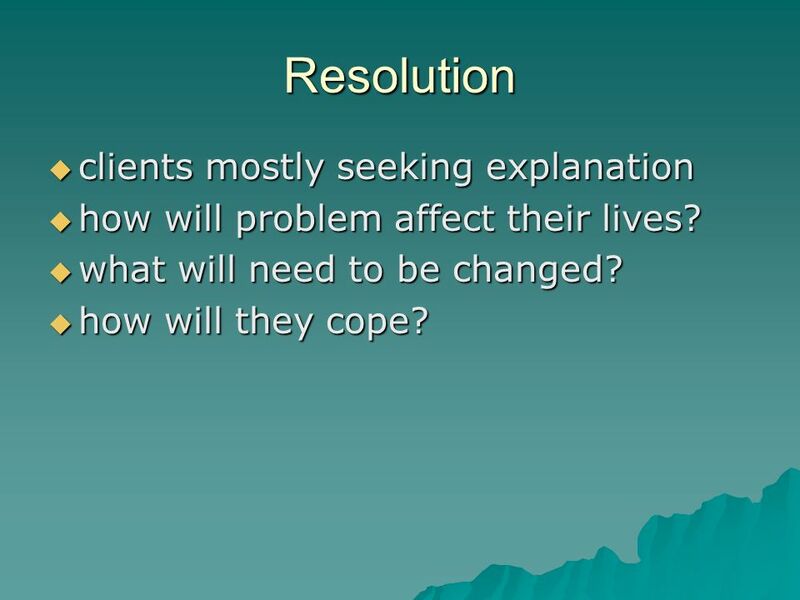 10 Resolution clients mostly seeking explanation clients mostly seeking explanation how will problem affect their lives? how will problem affect their lives? what will need to be changed? 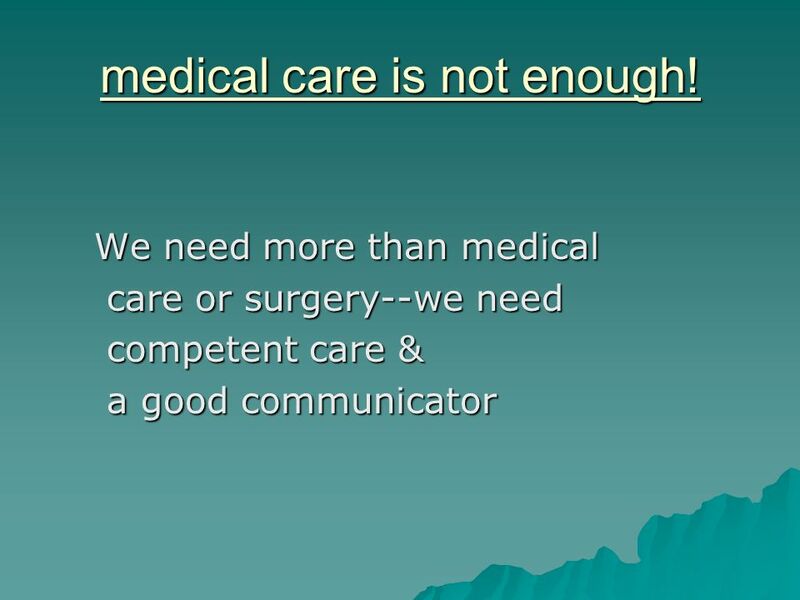 what will need to be changed? how will they cope? how will they cope? 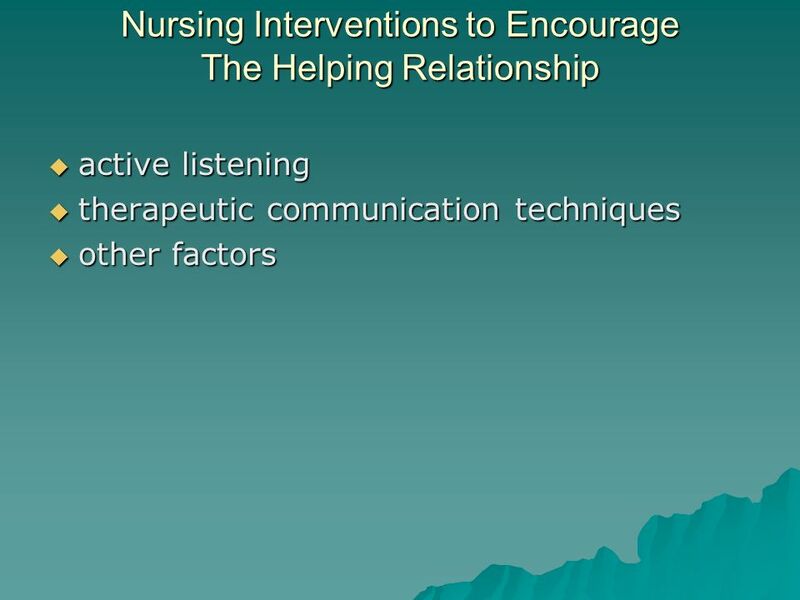 Download ppt "Therapeutic Communication The Helping Interview. 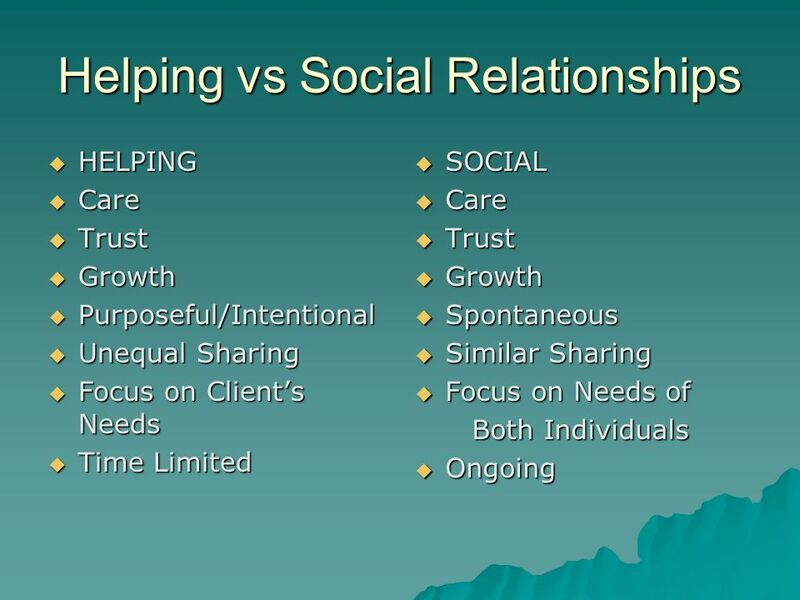 Helping Relationship Characteristics Caring Caring Hopeful Hopeful Sensitive Sensitive Genuine Genuine." 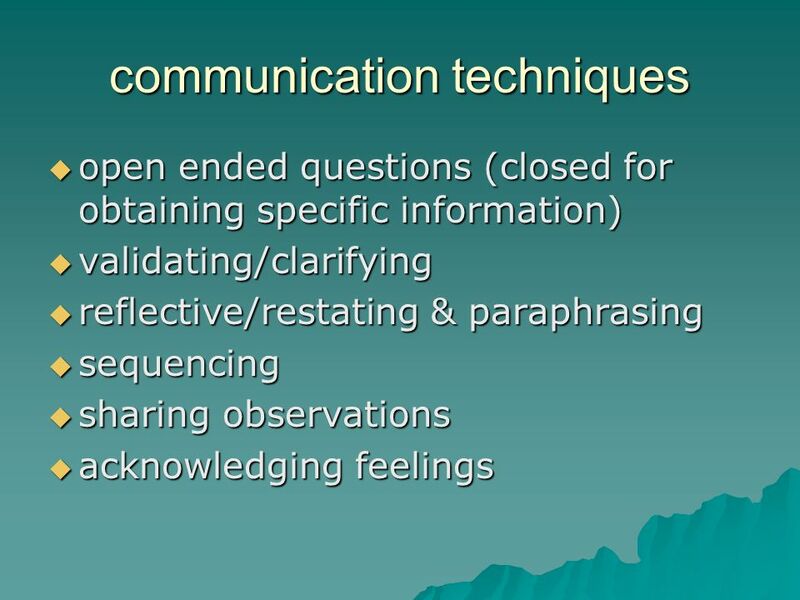 Therapeutic Communication the helping interview. 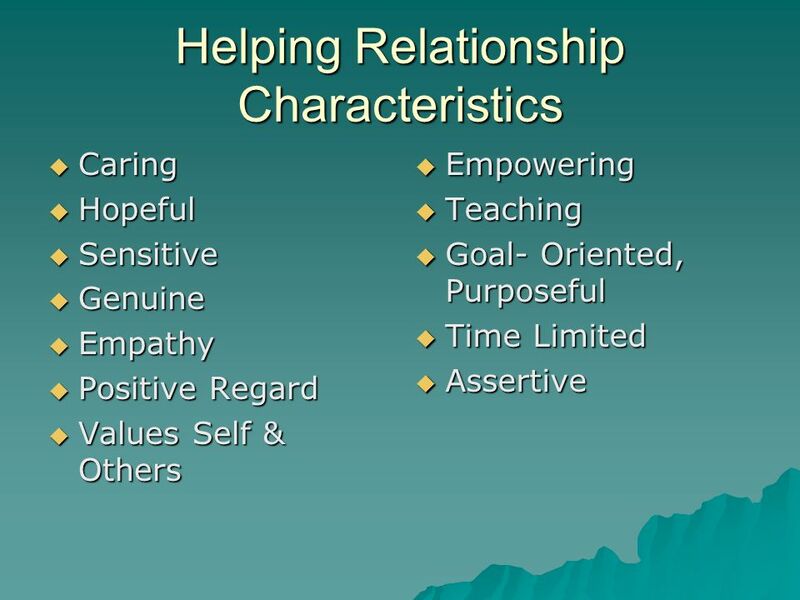 Helping Relationship Characteristics Caring Caring Hopeful Hopeful Sensitive Sensitive Genuineness Genuineness. 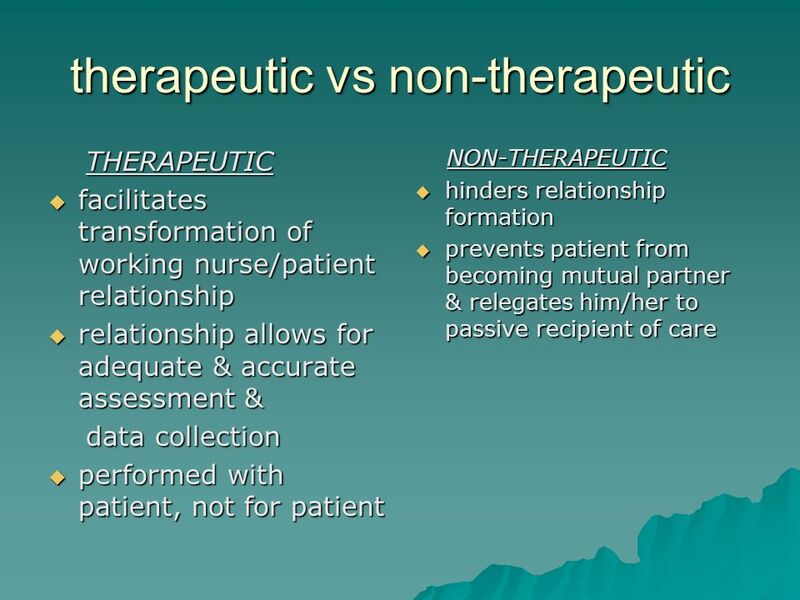 Therapeutic Communication NUR 3051 Rochelle Roberts MS RN. Establishing a meaningful relationship CAPS Judy Neighbours, PhD SASS Coordinator. 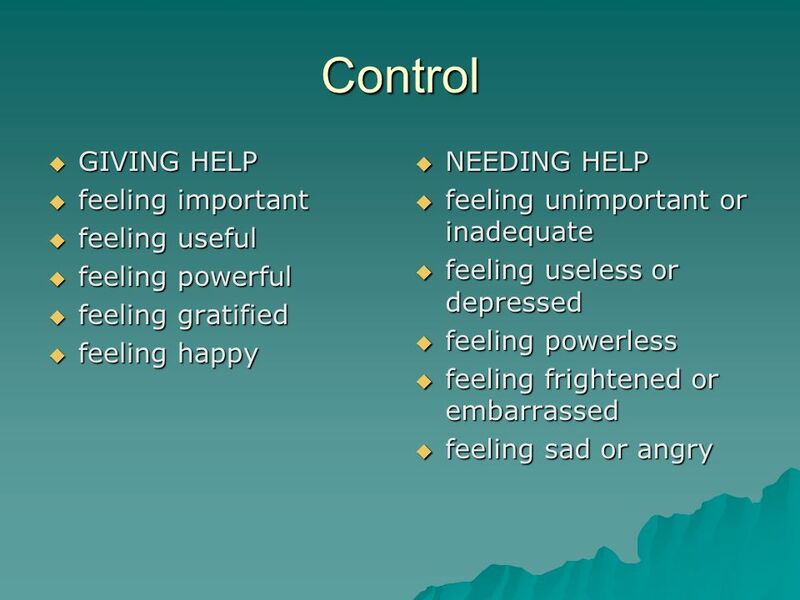 Creating the Helping Environment Office Environment  Arrangement of Office  Personal Characteristics of Helper: Genuineness, Being Nondogmatic, Being. 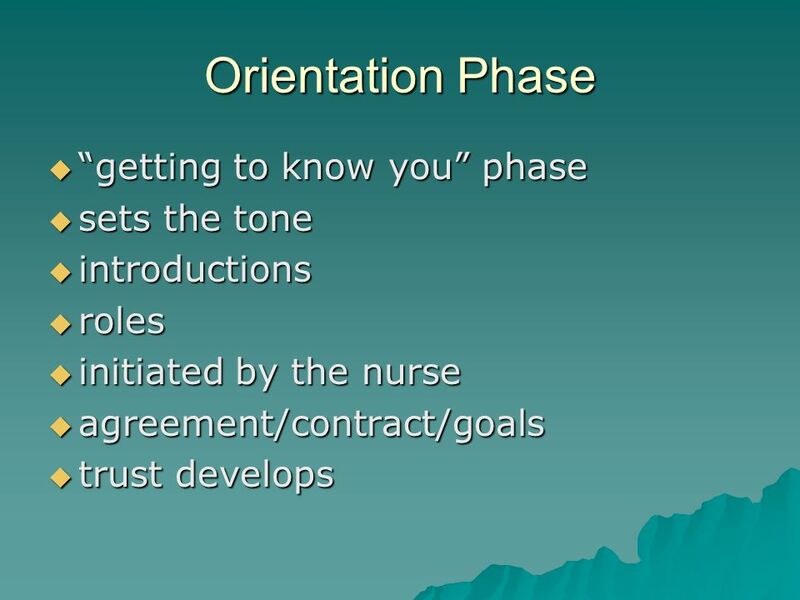 Nursing Management of Clients with Stressors that Affect Communication NUR101 Fall 2008 Lecture #2 K. Burger MSEd, MSN, RN, CNE. 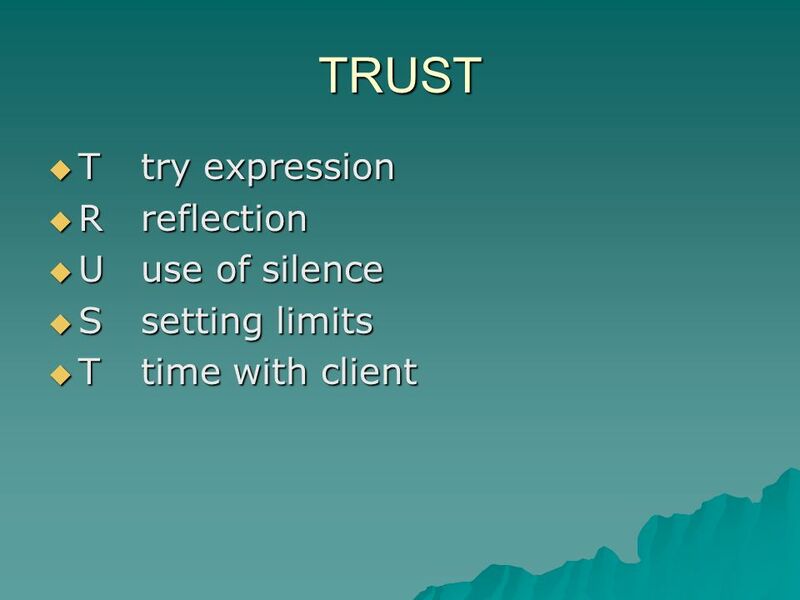 Module 2 Slides for Section 2.4 supporting ourselves and others Supporting ourselves and others. 1 Copyright © 2011, 2007, 2003, 1999 by Saunders, an imprint of Elsevier Inc. All rights reserved. 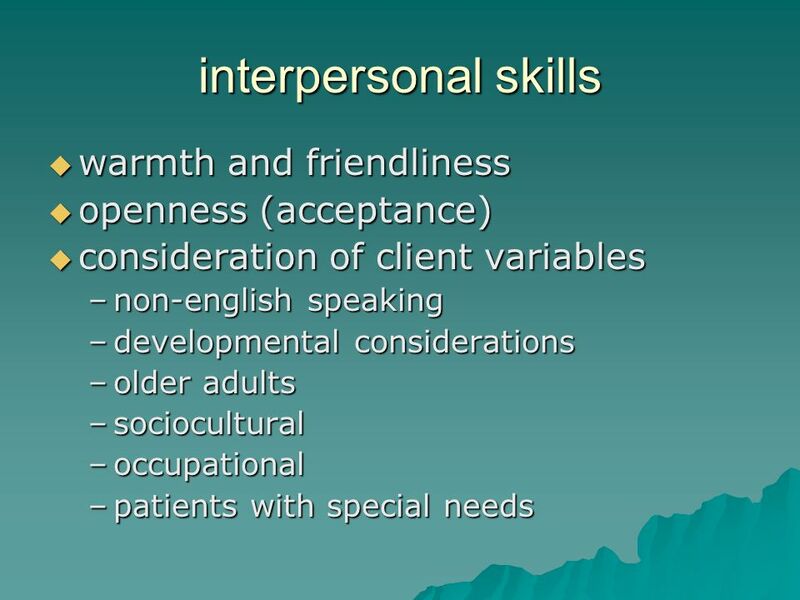 Interpersonal Skills, Human Behavior & Non-Verbal Communication. 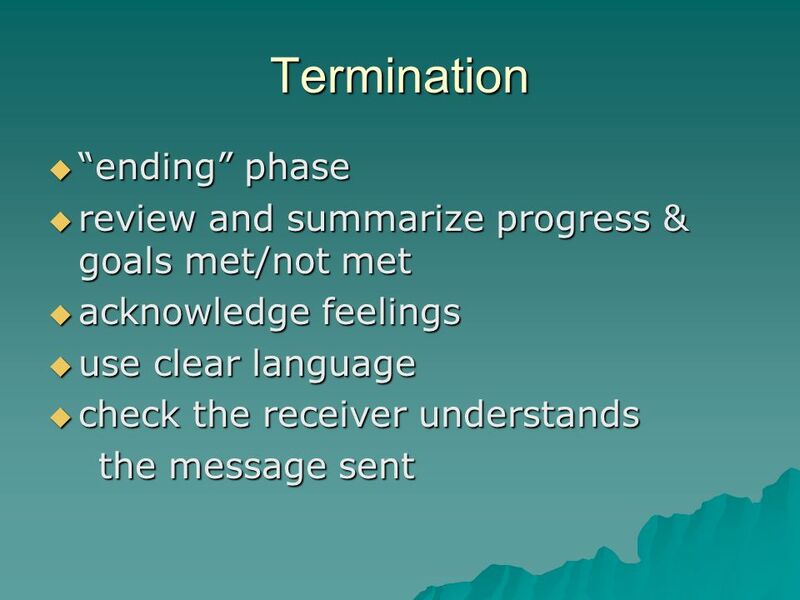 Basic Listening Skills S.A. Training by University Counseling Services Truman State University. 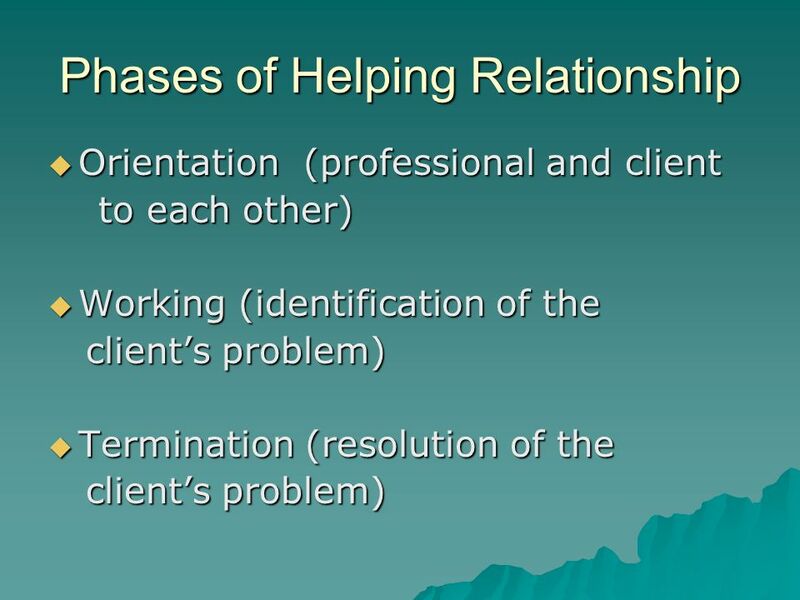 Chapter 4 The Nurse-Client Relationship. 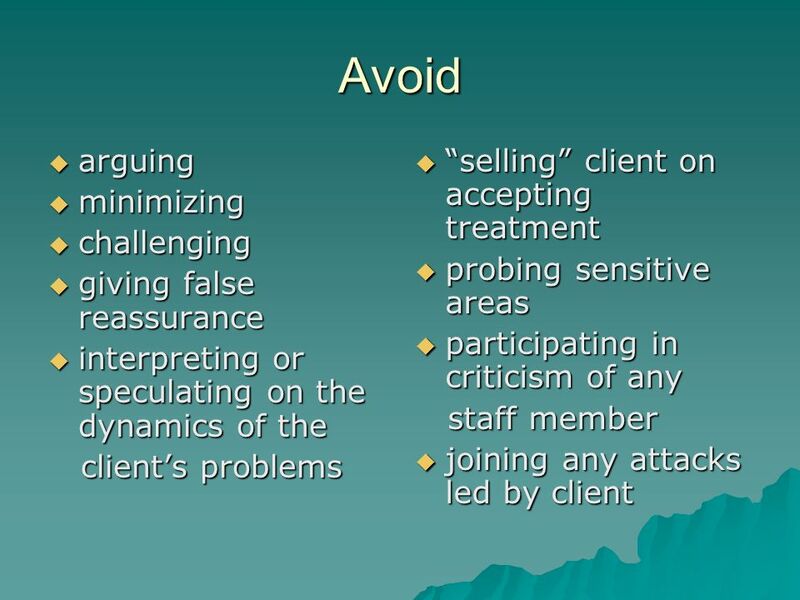 4-2 Copyright 2004 by Delmar Learning, a division of Thomson Learning, Inc. Communication  Communication is. 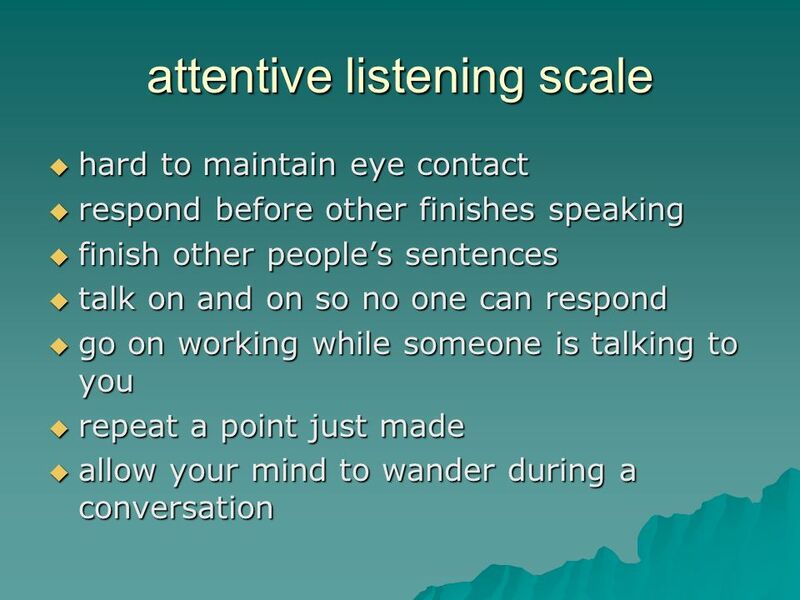 Foundations of Team Leadership 6b-1 Foundations of Team Leadership Active Listening One advantage of talking to yourself is that you know that at least. Arrange our chairs in a circle. I will give the first person a statement. You must whisper the statement as best you can to your neighbor. You may NOT. 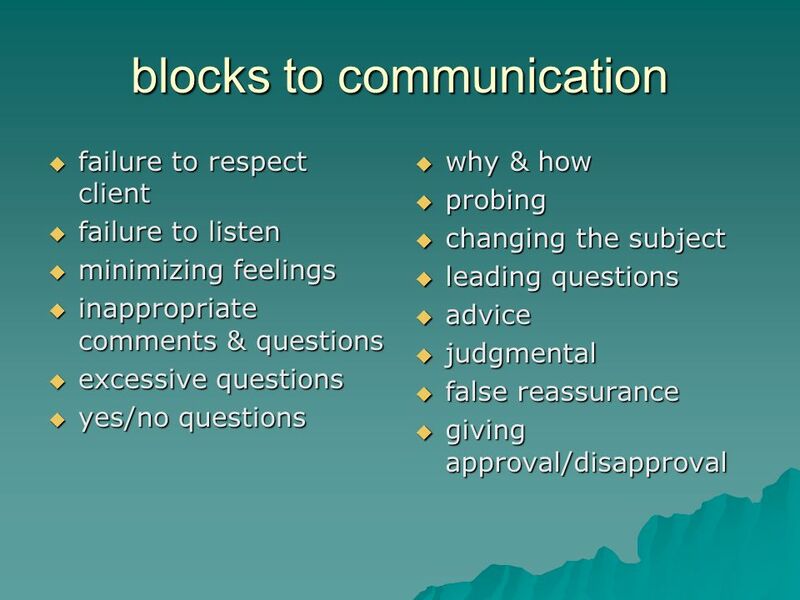 Effective Communication. 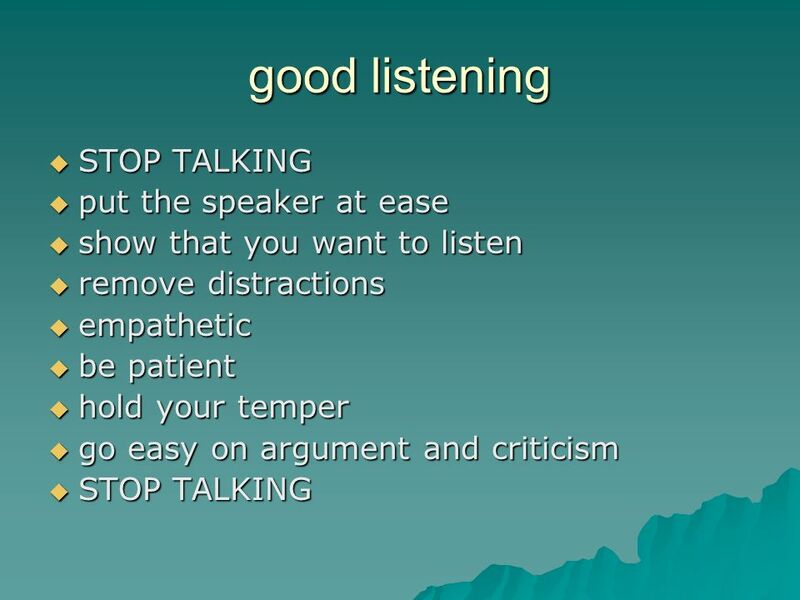 There are two essential skills for effective communication: 1) THE ABILITY TO LISTENING IMPECCABLY in order to demonstrate that. 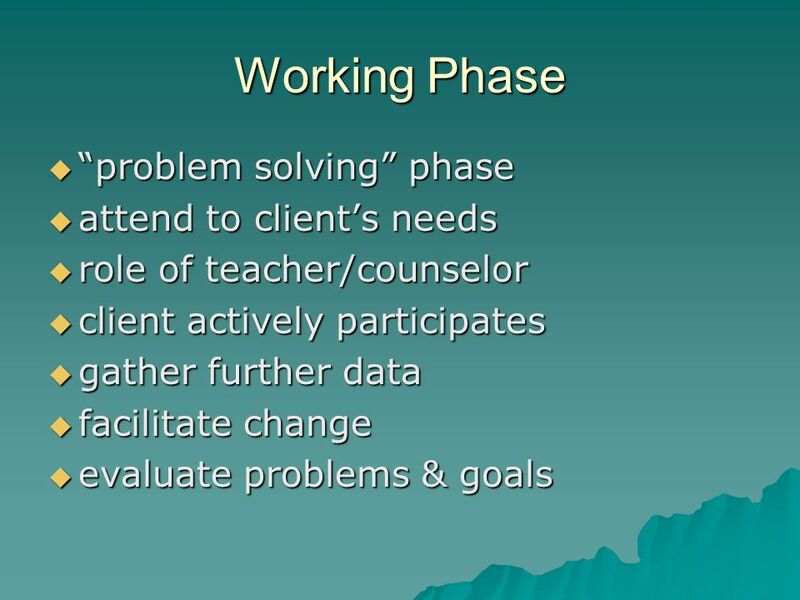 Copyright 2002, Delmar, A division of Thomson Learning Chapter 2 The Patient Interview.